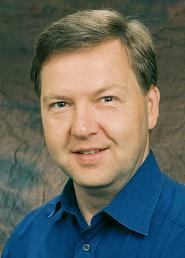 I am a music acoustics researcher and have been with the Stockholm Music Acoustics research group since 1980. For much of this time I have investigated the acoustics of choir singing. Many interesting results have emerged regarding the influences on choral performance of voice production, room acoustics, and auditory perception. Choir singing is very popular in Sweden, and I often lecture about acoustics in the choral community. Far from being a narrow subject, choir acoustics makes a convenient theme for pursuing diverse interests in voice analysis, voice and music synthesis, room acoustics, audio signal processing, and music perception. In recent years I have worked more on voice analysis from a workplace environment perspective. I teach music acoustics, sound, and voice analysis; mostly to students of Electrical Engineering and Media Engineering at KTH.